There’s no reason for you to stay indoors, when the season of Baisakhi is knocking the doors. With that being said, we are sure you have already decided the look you want and the kind of makeup and haute couture you would like to flaunt too; shoes decided upon as well, we have one question for you – “WHAT ABOUT THE HAIR”? 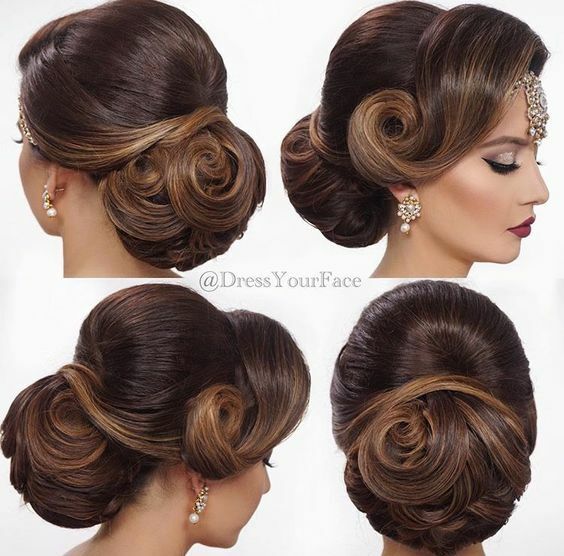 To make things easier for you, here are a couple of chic party hairstyles to wear with your indo-western, western and ethnic wear- whatever you choose to dress for the parties this season. Take a look and get inspired. Here’s one to begin with and nine more to follow! Since it would be the evening party being attended, chances are that your makeup would steal the show. With that being said, even your haute wear would be the talk of the town, so why let the hair run amok? 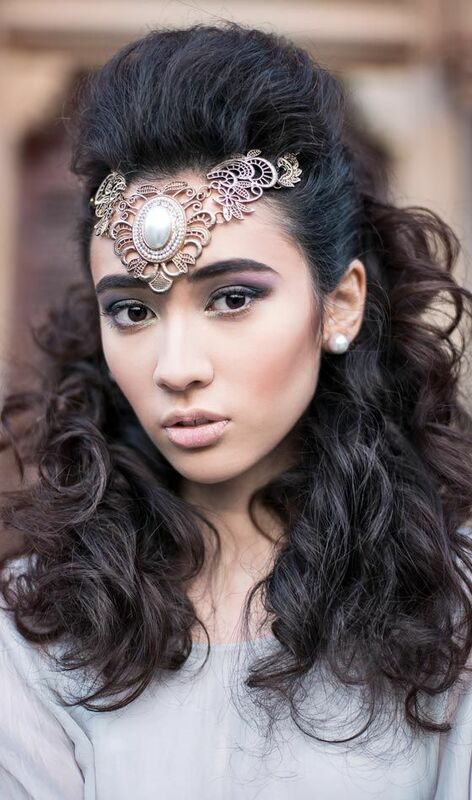 Style up your hair in chic ways, and here are a couple of styles that you can easily do. They speak of feminine touches, and can be decked up with or without accessories too. 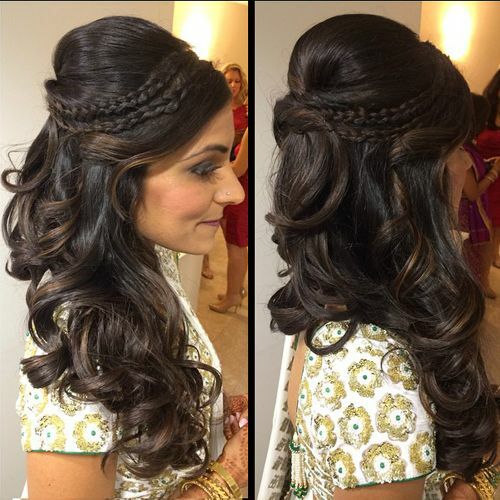 Take a look and draw inspiration from these very easy party hairstyles that can be worn. 1. 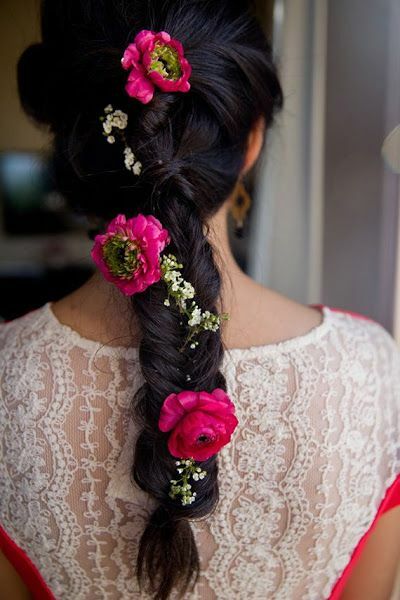 A gorgeous floral updo to wear with your ethnic wear or a gorgeous western gown for the evening. 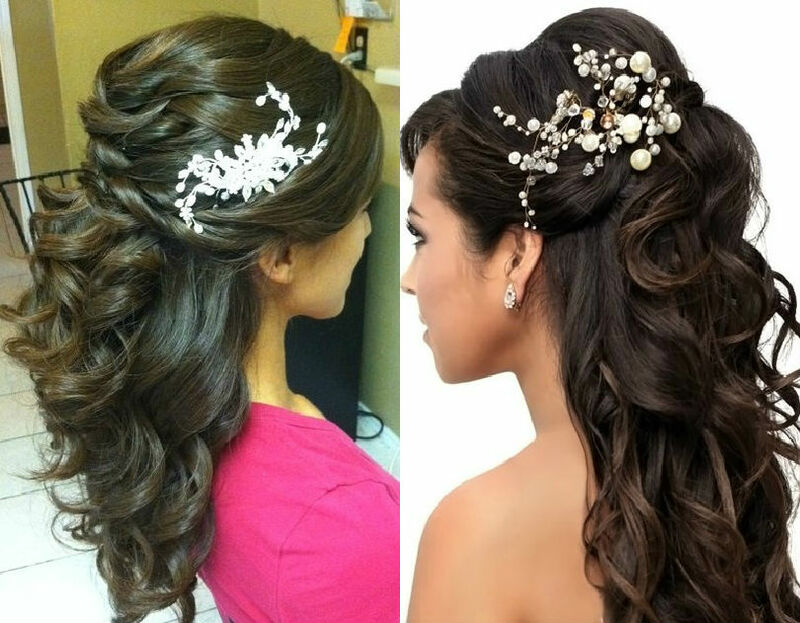 Can be embellished with mini hair accessories to complete the look. A no-fuss look that speaks of elegance too. 2. Braided half updos and pony’s are feminine to look at and makes the personality of the wearer come out as playful and fun. Can be worn with lehengas and sarees or salwars. 3. 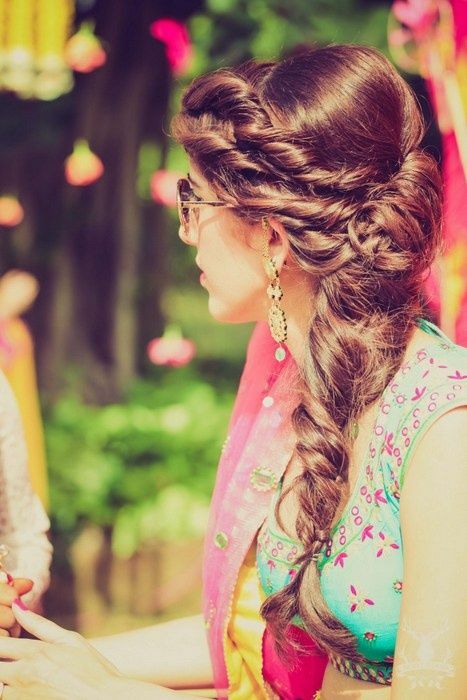 Gorgeous and floral embellished fish tailed braids are haute hairstyle trends doing the rounds this season – we bet you would want to wear them with all the desi swag in you. 1. A twisted messy braid to wear sans the need for embellishments would be a great party hairstyle to flaunt. Can be worn with indo-western and semi-formal clothing at the event and an impression would be made too. 2. Messy puffy pony half updos would be a thing to flaunt, and can be worn with minimal oxidised hair accessories to make a fashion statement and to turn heads too. Can be worn with indo-western wear and perfect for a day time affair. 1. 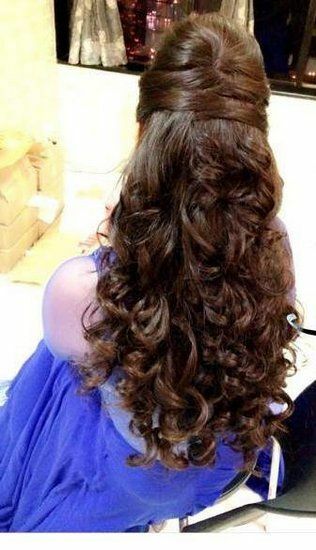 Bouffant tong curls for the long haired woman that loves her tresses and wants to flaunt them. Can be worn elegantly with Indian and indo-western wear. Minimal accessories needed and a no-fuss too. 2. A puffed up bouffant that translates into a chic updo would steal the onlooker’s glances now and then. 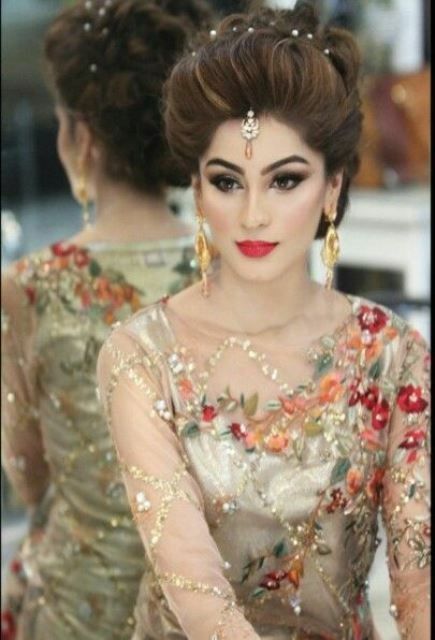 Add more zing with floral stone hair pins and add more oomph and zing to the style statement too. 3. 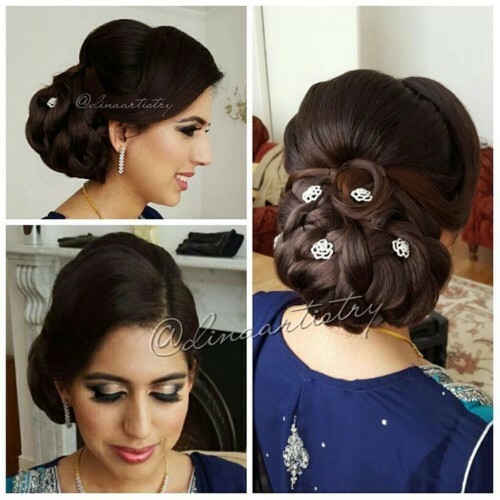 A chic romantic bun says it all- needs no accessories to display the feminine sophisticated touch and can make one look gorgeous as ever for the formal events too.